Hygge Attribute #1 - Candles - Travel, Shop, Cook, Have Fun! 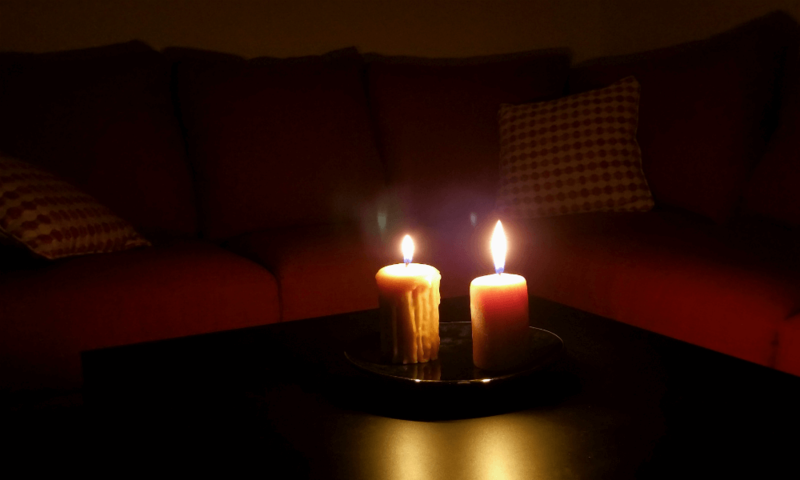 In one of my previous posts, I started the conversation about hygge. Both Canada and Denmark are in the top 10 happiest countries in the world. And I assume that the Danes and we, Canadians, definitely, should know something about happiness and how to stay happy. Let’s find out, what is helping us not fall to the dark side. It is the coldest and the darkest time of the year – winter. It is also flu season. Christmas holidays are over and only the burden of credit card bills and tax filings are ahead of us. The Danes found their own way of coping with long winter depression – they developed an amazing ability to make any situation cosy. And they shared some of their secrets with the world. On a very high level, it would be like – light some candles, open a bottle of wine and forget about your problems. Of course, it can be any of your favourite drinks, but you get the idea. Let’s start with candles. Danes burn about 6 kilos of candles a year per person. That sounds like a lot. I couldn’t find any stats for Canada but I’m pretty sure we love them too. Usually, we would stock up on candles around Christmas time. Their soft warming light helps to create a cosy atmosphere at home. 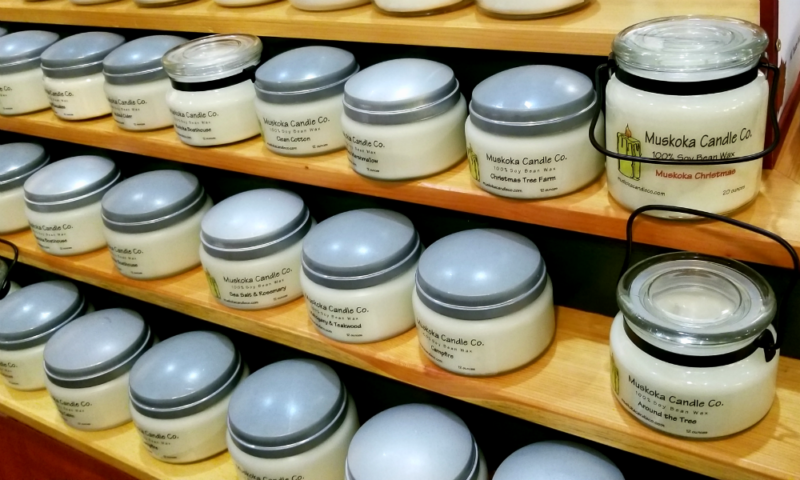 You can buy candles literally anywhere around this time – in any supermarket, at Bath and Body Works and Yankee Candles stores or online. Hard to choose! This is why, we’d like to introduce you to a couple of local candlemakers we met on One Of a Kind Show. 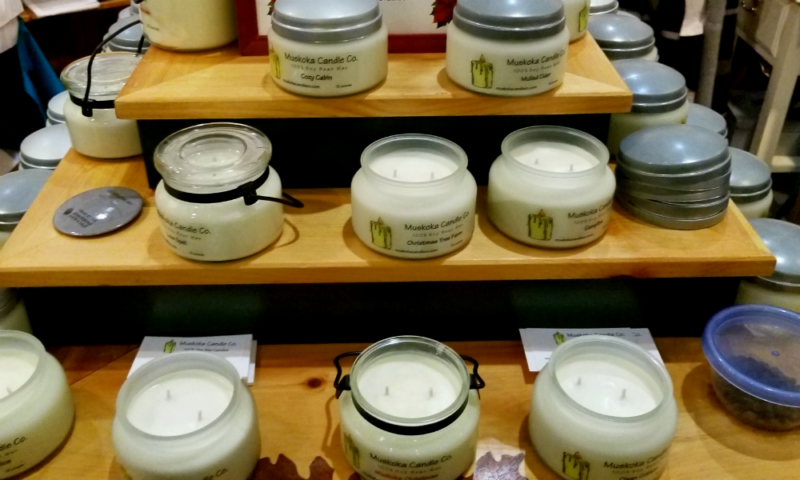 Muskoka Candle Co are the manufacturers of 100% Soy Bean Wax Candles, hand poured in the village of Rosseau, Ontario. If you love scented candles these ones will be a very good choice. Their list of fragrances contains around fourty varieties. 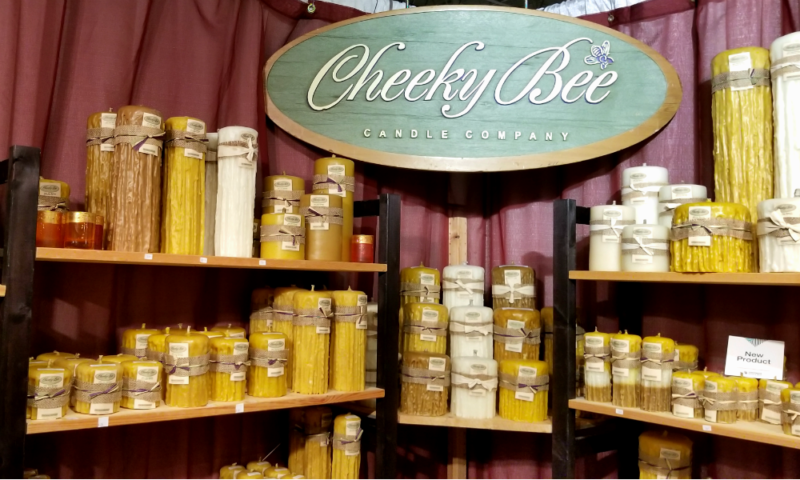 Located in a village of Warkworth, Ontario, Cheeky Bee Candle Company has been producing their handmade candles since 1999. 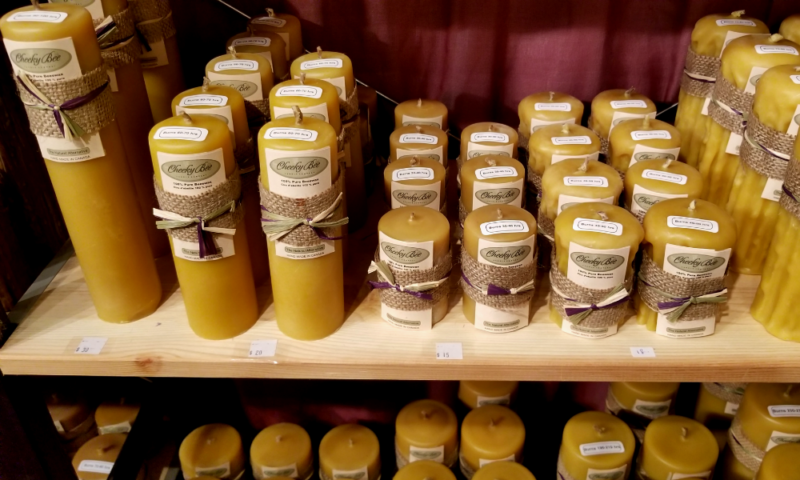 Each of their beeswax candles is hand poured, hand dripped, hand dipped and hand finished. I love beeswax candles, their smell reminds me of Orthodox churches back in Ukraine. For some reason, I always felt safe and relaxed in the church. Burning beeswax candles help me recreate that feeling. Pingback: The Village of Warkworth - Travel, Shop, Cook, Have Fun!